Phil Jackson is feeling the Love. Kevin Love, a potential free agent in 2015, finally put the Knicks in his crosshairs, praising the franchise because it now has Jackson as its leader. 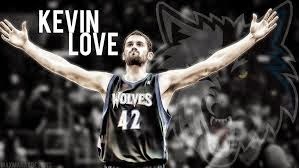 Love has told the Timberwolves he won’t sign a contract extension, and reports stated the Wolves would look at trading him so they don’t lose him for nothing. The Wolves denied they would trade Love, but the Knicks have been bracing for the possibility they may have to deal for Love before 2015 free agency. Love has been linked to several teams, including the Lakers, Warriors, Bulls, Celtics and Cavaliers. Love seemed to suggest without Jackson’s presence, he would have no interest in placing the Knicks on his wish list. During his visit to the Garden in November, the burly power forward said he “loves” New York. What hurts the Knicks is they are low on trade chips if there is a Love Sweepstakes as expected. They can’t deal a first-round draft pick until 2018. Center Tyson Chandler, who has an expiring contract, is their most solid trade chip, and Iman Shumpert has value. The organization is not sold on trading Tim Hardaway Jr., who was fourth in the Rookie of the Year voting.